The South Rupununi Conservation Society (SRCS) continues to dedicate countless volunteer hours to Siskin field research, education and capacity building located in south Guyana. Smithsonian (SI) and US partners are focused on project coordination, molecular research, captive breeding and fundraising. Special credit is due our dedicated team in Venezuela who continue their remarkable progress despite turbulent times. Their persistence reminds us that a committed, well organized team can prevail despite complex challenges! Last but not least, we appreciate the important contributions made in all project areas by the many new team members, advisors and supporters. 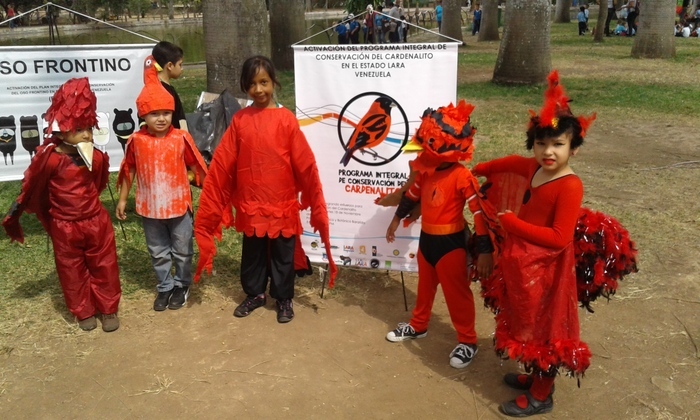 Going forward, we have elected to change our project name to Red Siskin Initiative / Iniciativa Cardenalito. This new name translates easily between English and Spanish and better expresses our hope that saving this emblematic species will inspire more urgently needed conservation across this richly biodiverse region. SRCS has been making regular field research trips throughout 2014/15. 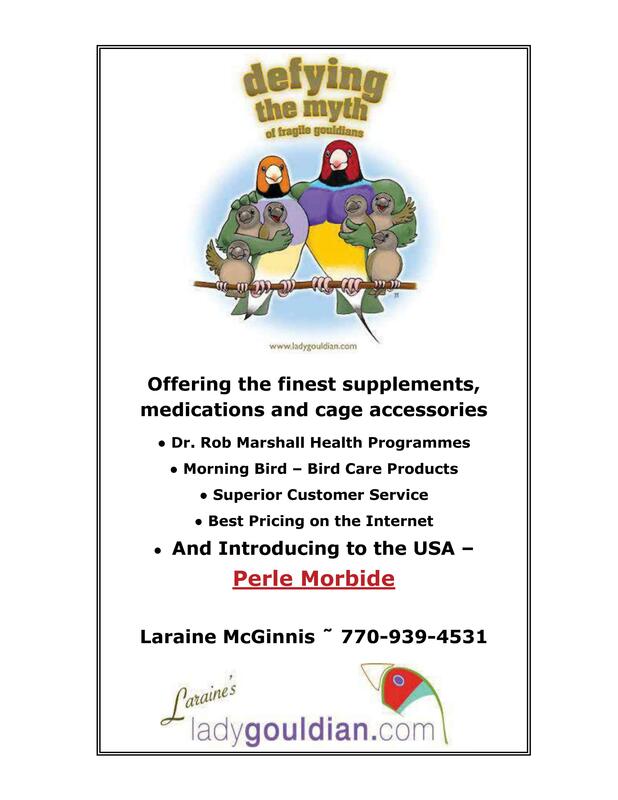 Activities include capture and banding of Siskins to study their movements and life history, collection of blood samples for genetic analysis, characterizing seasonal variation in behavior and habitat and delineating range boundaries. The SRCS continues to recruit motivated volunteers from surrounding communities for training in field research and ornithological skills that build local capacity for conservation and eco-­tourism. Future plans include export of blood samples to NMNH for genetic research and new field surveys to support IBAs and estimate population size and density. Leonel Ovalle (L) is veterinarian and project leader at Bararida Zoo (PZBB) AND Jhonathan Miranda (R) is leading field surveys in Venezuela. No studies of the Red Siskin were conducted prior to its drastic decline in the early 20th century and very few since, thus, much field research is required for recovery planning. Institute Venezolano de Investigaciones (IVIC) and Smithsonian Institute units are contributing to design and execution of survey protocols to estimate population size, density and distribution across the species’ historic range. This will be the most comprehensive survey of Red Siskins ever conducted. The field crew will also characterize key habitat and behavioral variables throughout the year in order to achieve a better understanding of this species. Using GIS and historical records of siskin habitat use, we are also creating a habitat model to identify areas of suitable habitat and potential reintroduction sites. The field crew is conducting “ground-­‐ truthing” surveys to evaluate and refine model predictions. This research will inform a future population and habitat viability analysis and is critical to a well- designed management program. We are sequencing the entire Red Siskin genome to serve as the basis of an informed genetic management program. 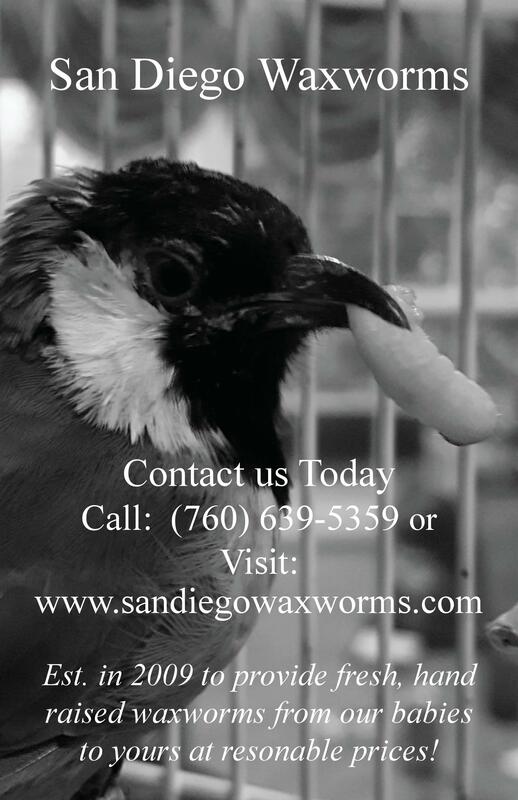 This resource will allow us to study historic and modern genetic diversity across the species range and estimate relatedness of individuals in the captive breeding program in order to limit inbreeding and optimize genetic diversity. It will also allow us to preserve the genetic identity of the species by devising a genome scan test for genetic purity to screen potential founders of captive populations. To create this test, we will also use the genome sequence from the canary and other species known or suspected to hybridize with the Red Siskin. By comparing these genome sequences to the Red Siskin genome, we can devise an assay that will detect even small amounts of DNA from other species in “cryptic hybrids”, i.e. birds that otherwise look just like a Red Siskin. Genomic research will be facilitated by the recent selection of the Red Siskin Initiative as an exemplar project of the new Smithsonian Institute for Biodiversity Genomics. This institute aims to provide global leadership in genomics research and sustainability in support of biodiversity research and conservation action across the planet. Captive Breeding at Smithsonian Conservation Biology Institute (SCBI): First birds arriving soon! SCBI will soon be receiving our first two Red Siskins to start a research population at their world class captive breeding facility in Front Royal, VA. This population will be a vital resource for research on behavior, husbandry, management, care and eventually techniques for release. These birds, generously provided by the Toledo Zoo, will be joined by up to 10 more breeding pairs this year. National Finch and Softbill Society (NFSS) and US Fish and Wildlife are assisting efforts to acquire more birds from private breeders. November Meetings Exceed Expectations and Attract Media Attention! Following up on a conservation-­‐planning workshop held at SCBI in July 2014, two meetings were convened in Venezuela in November. 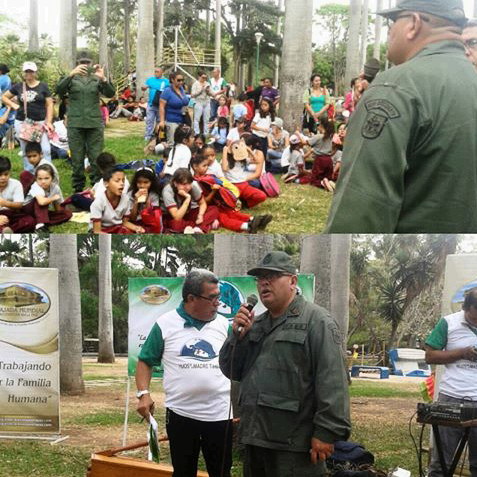 The meetings were held at Parque Zoológico y Botánico Bararida (PZBB) in Barquisimeto and Parque Zoológico El Pinar located in Caracas. The main topics addressed were establishing captive breeding programs, expanding education programs, laying the groundwork for the “Bird Friendly Coffee” reintroduction strategy and combating wildlife trafficking. The larger Bararida meeting, with over 40 attendees, was covered by radio, internet and newspaper media reflecting the strong societal interest in and support for this iconic bird. 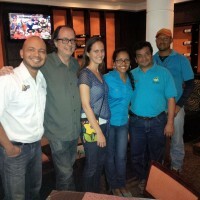 Both Warren Lynch of the Smithsonian Conservation Biology Institute (SCBI) and Bibiana Sucre of Provita were interviewed by TV. This remarkable media attention will help create public awareness that is so important to the success of any conservation effort. Meeting attendees toured two shade coffee farms, including one that is already certified as “Bird Friendly” by Smithsonian. Team members are preparing a document to summarize meeting outcomes and priorities that will be merged with the earlier SCBI workshop document to create a draft plan for species recovery. The meetings were supported by the Venezuelan zoos, Institute Venezolano de Investigaciones (IVIC) and Smithsonian Grand Challenges Consortia. In February, team member Will Ruhl of Ruhl Walker Architects visited PZBB to advance planning and design of the future Red Siskin conservation breeding and education center. Will also met with representatives of El Pinar Zoo to consult on their ongoing plans for park-­‐wide renovations that include a dedicated Red Siskin breeding facility. Leonel Ovalle and Will Ruhl are work on breeding facility design for Bararida. Marcelo Arancibia and his design team at Merlin Interactive, an innovative design and development firm, have been creating a project website in both English and Spanish. The website is in the final phase of construction and will be ready soon for an official launch. The Merlin staff is also designing a new project logo, brochures and other great visual materials that will be used for fundraising, education and outreach. Import of Blood Samples from Venezuela: Not easy! In November 2014, after 4 years of persistent effort, Kate Rodriguez-­‐Clark and the Instituto Venezolano de Investigaciones (IVIC) team succeeded in exporting Red Siskin blood samples to National Museum of Natural History (NMNH). Thanks also to the US Fish and Wildlife Service for assistance on the US import permit. These valuable genetic samples will help us to understand the history of this bird and develop tools for breeding management. Genetic sampling will continue as the field crew makes visits to new areas throughout Venezuela. Warren Lynch of SCBI, and Brian Coyle, National Museum of Natural History, gave presentations on the project at the Association of Zoos and Aquariums mid-­‐year conference in March. The objective was to raise awareness of the Red Siskin Initiative and encourage member institutions to consider partnering in conservation of this species. Curators from several institutions expressed interest in joining a breeding network and even more were interested in Red Siskin exhibition and education. We will increase and expand the effort at future meetings and events. 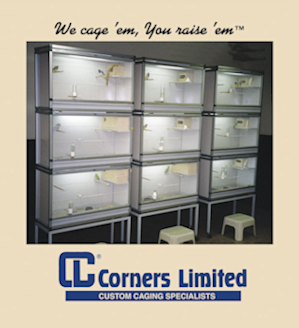 Brian Coyle will also present the project at the Conservation Centers for Species Survival meeting this May and has applied to present at the American Federation for Aviculture convention in July. An application was also submitted in March to the AZA’s new Save Animals from Extinction (SAFE) program. This program was developed to focus the collective resources and expertise of AZA member institutions on ten species to maximize conservation impact. The end goal is to create sustainable wild populations for all SAFE species. The IBA program has a four-­‐decade legacy of identifying and protecting areas that are important for survival of birds and other wildlife. We are collaborating with Birdlife International to advance the IBA process for proposed sites in Guyana, including Red Siskin habitat. We will convene a workshop to address data collection and stakeholder participation and to plan next steps. 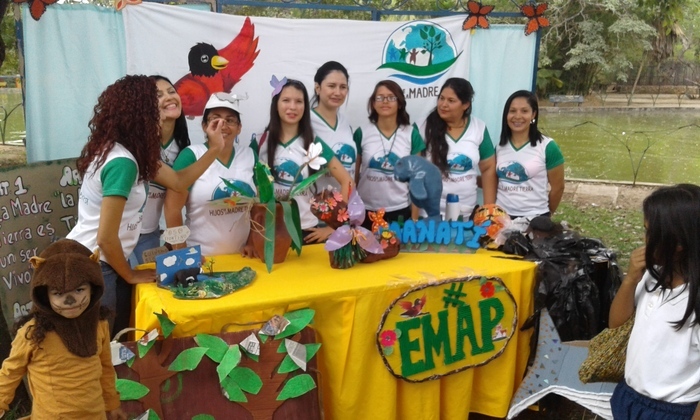 Rare (originally Rare Animal Relief Effort) trains local leaders in social marketing techniques to promote sustainable behaviors and community pride in natural heritage. We are now preplanning and fundraising for a ten-­‐day workshop to train 25 participants to conduct social marketing campaigns related to Red Siskin conservation. Principal Investigator: Michael Braun (NMNH). Co-­‐Principal Investigators: Brian Coyle (NMNH), Scott Derrickson (SCBI), Warren Lynch (SCBI), Jesus Maldonado (NMNH/SCBI), Paul Marinari (SCBI), Robert Rice (SCBI), Brandie Smith (NZP), Sunshine Van Bael (STRI). Private donation of $40,000 announced in March. We are very grateful for this expression of support and generous contribution from the Band Foundation that will support field and lab research, project coordination and more. • National Finch and Softbill Society. 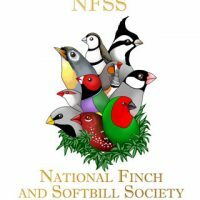 NFSS dedicates a webpage with donation button on their Finch Save website, since August 2014. Combined contributions from numerous individuals have funded several weeks of critical field research. Small donations help make important work possible. 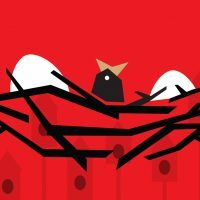 http://nfss.org/fss/siskin-save/. 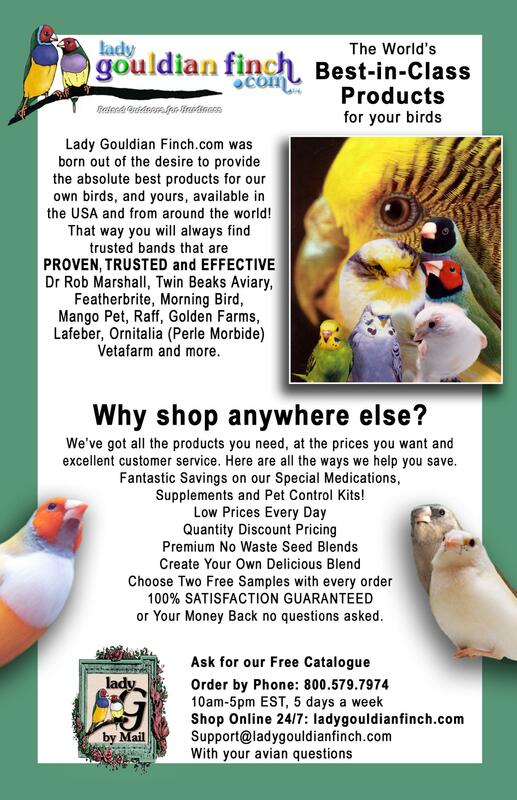 • Avitech Bird Supplies, USA, donated $1,000.00 based on Red Siskin “likes” on Facebook in February. Funds were forwarded to Provita, VE who will oversee funding for Provita VE. • National Finch and Softbill Society, USA, • Parque Zoologico y Botanico Bararida, VE, • Parque Zoologico El Pinar, VE, • Provita (Conservation NGO), VE, • Ruhl Walker Architects, USA, • Smithsonian, USA, (National Museum of Natural History, National Zoological Park, Conservation Biology Institute, • Center for Cons and Ecol Genetics, Center for Species Survival, ‐Migratory Bird Center, Tropical Biology Institute), • South Rupununi Conservation Society, GY, • Universidad Central de Venezuela, VE.